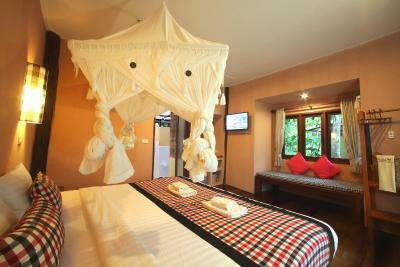 Lock in a great price for Thapwarin Resort – rated 8.4 by recent guests! The breakfast was OK. Not great. But this is also a fairly remote island and EVERYTHING has to be brought in by boat. The staff was nice and very helpful. The rooms were clean and the view was awesome. Staff was really great and was friendly. The view!! The location is simply amazing, the stuff of dreams. Sensational beachside location. 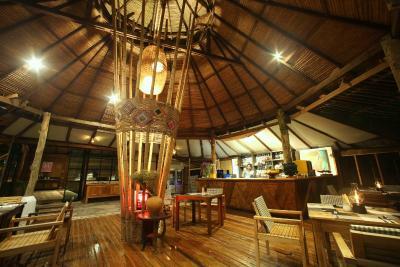 The staff are all charming & eager to please and the whole place is delightful. The chalets are obviously getting on a bit, but clean and comfortable - only comment: the beds are very firm indeed. 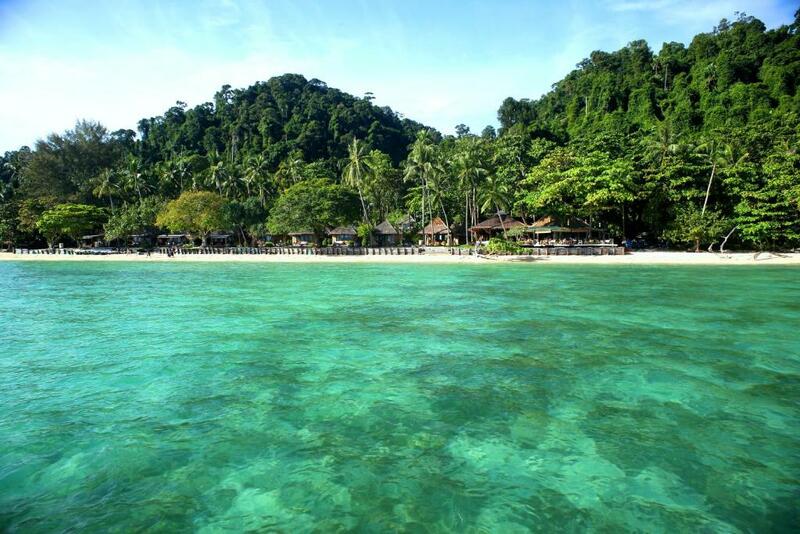 Very safe for swimming and snorkelling. Highly recommended. The room was clean and had a comfortable bed. The food at the restaurant was really good and the breakfast was good too. The staff were super super nice and made us feel welcomed .. they even borrowed a kayak for us when theirs was in use. And they gave us the best way to check out , it was quick and efficient and organized!! Thank you everything!! 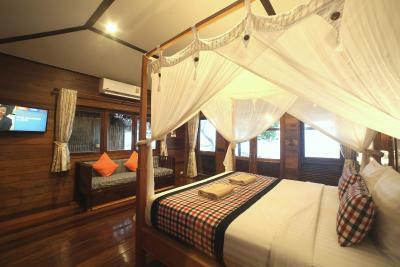 The bungalow was very comfortable, well decorated and super clean. The service and maids were very kind and very helpful. 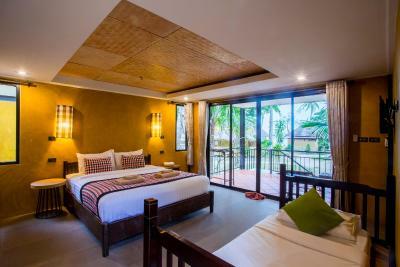 Thapwarin Resort This rating is a reflection of how the property compares to the industry standard when it comes to price, facilities and services available. It's based on a self-evaluation by the property. Use this rating to help choose your stay! 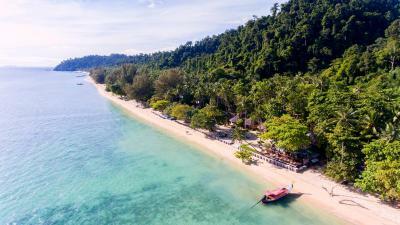 Enjoying a beachfront location on the beautiful and tranquil Ko Ngai Beach, Thapwarin Resort features spectacular ocean views and water sports. Internet is free in public areas. 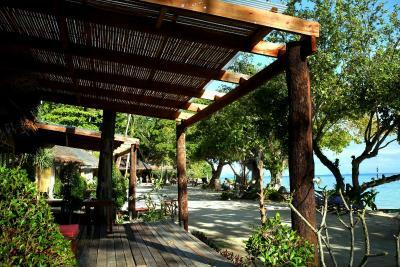 Located in Ko Ngai, Thapwarin Resort can be reached by boat from Trang Town. Shuttle services (van and boat) are provided at a charge for guests’ convenience. 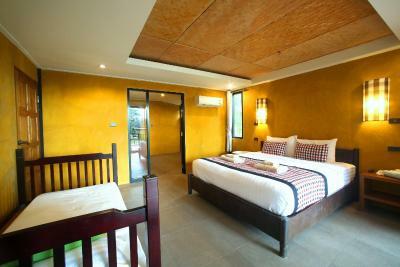 Offering much privacy, the standalone cottages all have a private terrace. 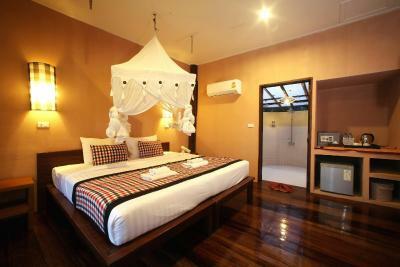 They have air conditioning, a private bathroom with hot and cold shower facilities, and a mini-bar. 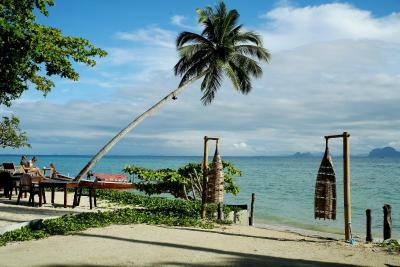 Guests can indulge in relaxing massages or enjoy the tropical weather fishing, snorkeling or canoeing at the resort. Alternatively, the resort’s tour desk helps guests organize day excursions to nearby attractions. 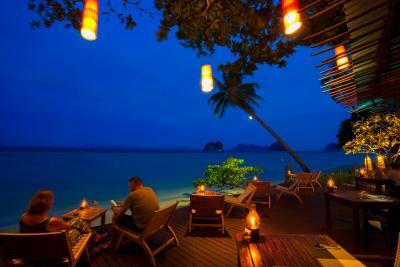 Talay Lounge Restaurant serves Thai specialties as well as Western favorites. 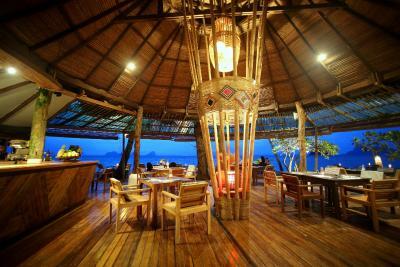 Fresh seafood dishes and barbecued meats are also provided daily. 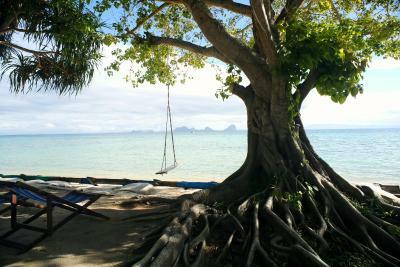 This property is also rated for the best value in Ko Ngai! Guests are getting more for their money when compared to other properties in this city. 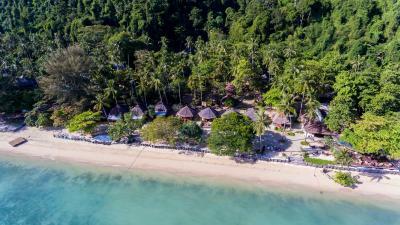 When would you like to stay at Thapwarin Resort? 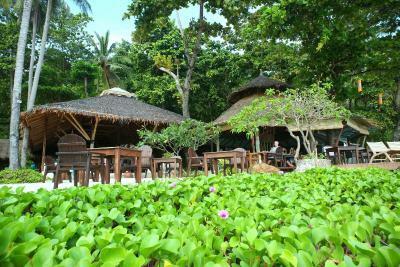 A minute walk to the beach, private cottages are located by a lotus pond and surrounded by green tropical garden. 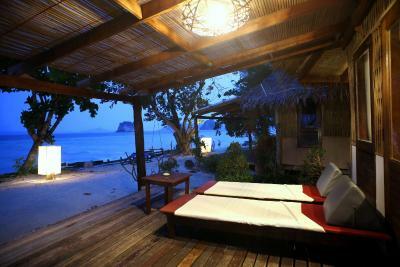 Cottage features sea view, air-conditioning and private bathroom. 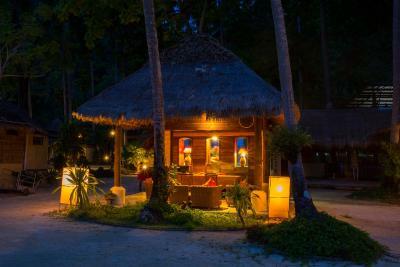 House Rules Thapwarin Resort takes special requests – add in the next step! 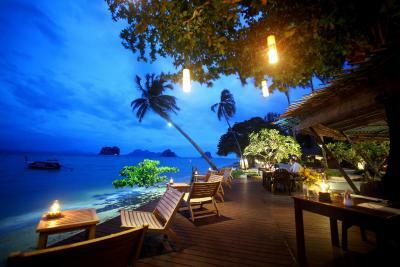 Thapwarin Resort accepts these cards and reserves the right to temporarily hold an amount prior to arrival. Please note that the name of the credit card holder must be the same as the guest's name and credit card must be presented to the property upon check-in. Photocopy of the card is not allowed. Guests are required to show a photo identification or passport upon check-in. Prices were a little high for the experience. 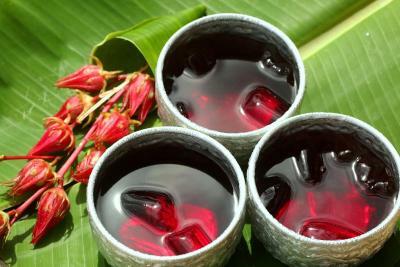 Food can be improved especially since its Thai food! Breakfast runs from 7am, and even getting there at 8 we struggled a little with some of the food running out or not being very fresh. Tea & coffee were well stewed. 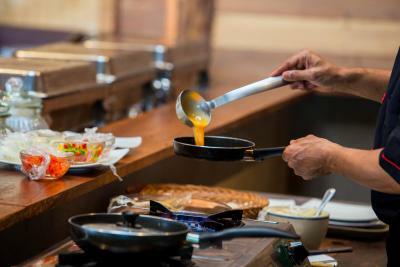 Freshly cooked eggs were always available though. The breakfast was a very basic buffet. 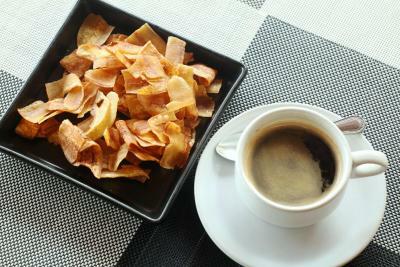 Missing some thai dishes such as thai pancakes with fruits and diversity. Specially with the price paid. 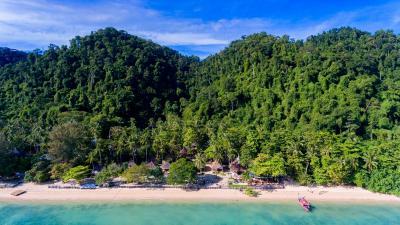 Also the resort is super expensive compare to all the others, massage are 200thb more than others and the restaurant is over priced for what you will be serve. But the service is really nice. I will recommend to go and eat on others restaurants and there is few really worth it. Nothing we didn’t like just not great value in our opinion. The resort and rooms were nice. The breakfast was good and the location for dining was really very nice with lovely views of the sea, distant karsts and other islands. Pricy comparing to the north of Thailand (and other Asian countries), but worthy, we saw other bungalows on the island and these ones looked the best. Great staff and excellent breakfast, nice restaurant as well. Amazing bungalow on the beach. Cleaning service every day. We were on the bungalows in the garden, It was nice but the mattress was a little bit hard. 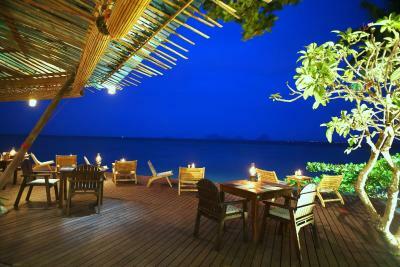 The position of the resort is wonderful, directly on the sea side. 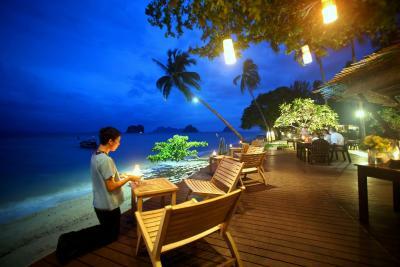 In the island there are only some resorts and it is the perfect place to rest and relax. The reef is very close and when there is the low tide it is very easy to snorkel and see several fishes. The food at the restaurant is very good. The staff is wonderful and very kind especially with children (we were with two children of 5 and 2 years old). They make our holiday perfect! 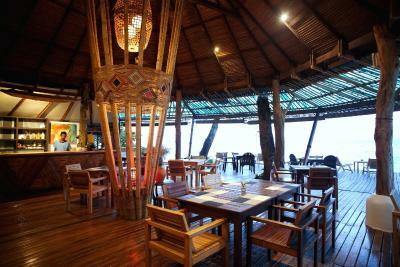 Very nice and friendly staff, great food in the restaurant, awesome reef for snorkelling right in front of the resort! Definitely recommended if you travel with babies/kids! 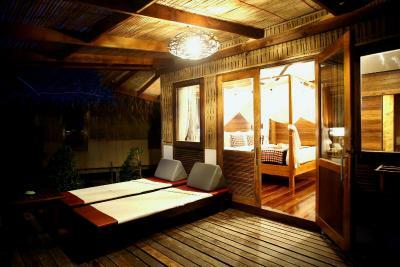 Villas are very nice and very comfortable. Beach beautiful and property well maintained. Nothing to complain about the property.